At Warner Orthopedics and Wellness, we create a specialized treatment plan for patients at every stage of bunion care. Bunions progress slowly, meaning every treatment needs to be tailored to fit the patient’s current needs to ensure optimal recovery. The condition develops in response to extreme pressure on the big toe joint. In some cases, individuals inherit feet that are more prone to developing bunions due to their shape and structure. Constant stress forces the big toe to lean towards the second toe, and over time bone structure is altered, resulting in the bunion bump. Patients suffering from bunions report pain, tenderness, stiffness and calluses on their feet. Without medical intervention, the bump will continue to grow, and wearing shoes becomes increasingly painful. 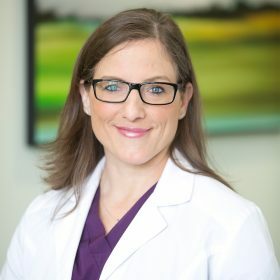 Dr. Meredith Warner is a board certified Orthopedic Surgeon, specializing in foot and ankle care. Warner Orthopedics work with each patient to find the perfect solution for their bunion pain, with surgery always being the final option. In most cases, bunions can be treated using conservative treatment methods. Surgery is only recommended if pain continues, and the patient has difficulty walking despite changes in activity and the implementation of nonsurgical treatments. We use detailed evaluations and testing to discover which path will lead you to recovery.